We started in the cleaning business in 1970 with a portable rotary scrubber and wet vac. In 1971, we purchased a small cleaning company with a small van and dry foam equipment, cleaning residential homes and apartments. We also were installing carpeting and vinyl floors. In the 80's, we started bidding on developments and commercial properties. In the late 90's we started looking for new ways of cleaning carpeting and hard surfaces. In 2002, we started an R&D project to develop an energy efficient way to clean buildings. 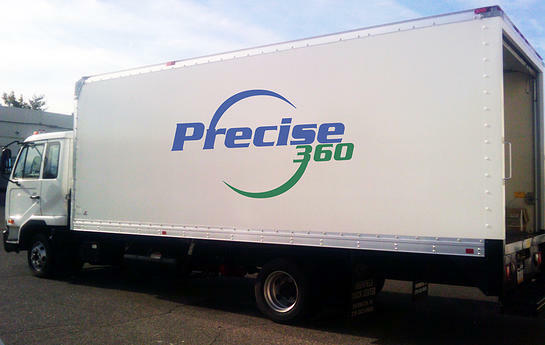 Our first proto-type was ready for testing in 2007, a mobile truck designed to clean all surfaces for high-rise application by using a duct vacuum system with pressurized water capability. Our system was tested by the Carpet and Rug Institute and certified gold cleaning standards with over 80% clean in two passes, four wands running at the same time. With cold water only, no chemicals needed. In 2012 we received platinum certification with over 90% clean with water only. Our mobile system cleans with environmentally friendly products only. 80 stories high without the use of the resources of structure (electricity, water and wastewater). By recycling used water for cleaning purposes, vacuums run off our vacuum system. Portable vacuums using battery packs are recharged in our mobile system. Our trucks are zero emission idle and low decibel levels when running. Running the system each night, we will maintain the facility to high standards.